Neil Woods is a very modern style Hypnotherapist that was born is Selby, North Yorkshire. Neil developed a keen interest in hypnotism from watching Paul McKenna performing as a stage Hypnotist when he was young. Neil initially believed that Hypnotists must be fake and that they must use “stooges”. Then Neil had an encounter with Derren Brown, channel 4’s Illusionist, magician and hypnotist. Neil was inspired to go see a Hypnotherapist to help with an underlying issue. After just one session his life changed forever. This then inspired Neil to learn the Hypnotherapy craft for himself. While holding a full time job Neil Qualified with a diploma in Clinical Hypnotherapy. 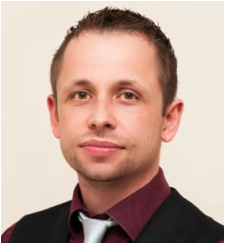 Neil gradually set up his Hypnotherapy business and worked from his home address in Selby. Since qualifying the learning did not stop and everyday is a new day to learn something new. Neil now practises Hypnotherapy from his clinic called The Selby Wellness Clinic in Selby on Gowthorpe which is Selby’s town centre. The clinic now houses a team of other specialist’s in many forms of therapy. ​Neil has helped many people loose weight, stop smoking, over come depression, stress, phobia's and even nail biting. It would be impossible to list all my treatments but every client Neil meets is unique and Neil will adapt to all his clients needs. Neil would challenge you to find something Neil has not worked on. Aswell as delivering Hypnotherapy to his clients, Neil also teaches Hypnotherapy on his Diploma course. ​Have you considered changing your job and enhancing your lifestyle with a rewarding career? 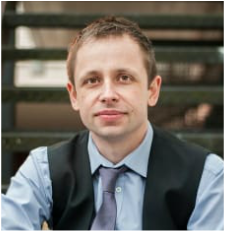 Neil Woods graduated out of Innervisions School of Clinical Hypnosis in 2010 with a Diploma in Clinical Hypnotherapy & Psychotherapy with an “Outstanding Achievement” award. The training course is approved and accredited by the General Hypnotherapy Standards Council. Neil has since become an actual tutor for this leading hypnotherapy training school. Neil Woods is approved and registered by the General Hypnotherapy Register. The GHR withhold very high standards and code of conduct. Neil also a basic check with the Disclosure and Barring Service. Which enables him by law to be able to work with children and vulnerable people.